WASHINGTON – The Senate will begin a potentially historic debate Wednesday on a measure to end U.S. military support for the Saudi-led war in Yemen, fueled by bipartisan outrage over the kingdom’s role in the murder of Jamal Khashoggi. It will be the first time Congress has held a full-fledged debate on a measure linked to the War Powers Act, a Vietnam-era law designed to limit the president’s power to start or escalate military engagement. The final outcome of Wednesday’s vote remains in flux, with senators bracing for a free-flowing floor debate on Khashoggi’s murder, America’s alliance with Saudi Arabia, and the deadly war in Yemen. 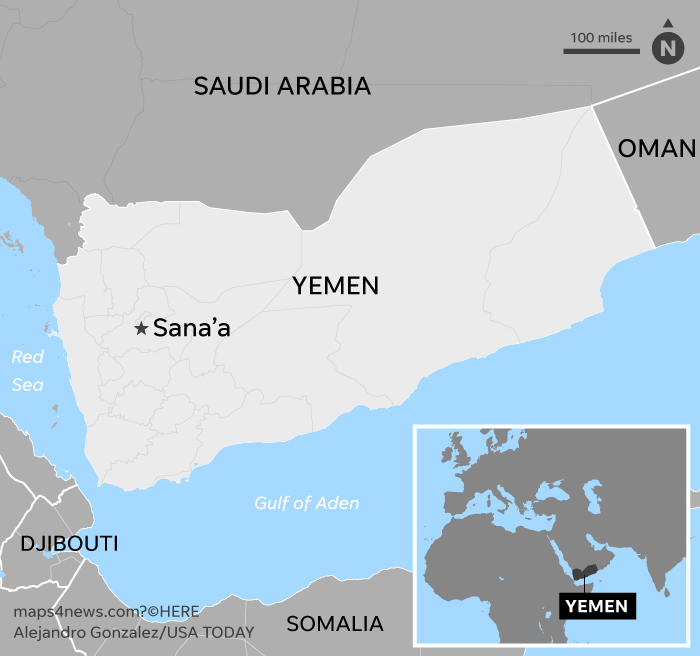 Proponents of the Yemen war powers resolution say they’re optimistic it will pass this week, putting pressure on the House to act. Unlike other bills, the measure is not subject to a filibuster, so it needs only a simple 51-vote majority to pass. “If we end up getting over 50 votes on a war powers resolution, that’s historic,” said Sen. Chris Murphy, D-Conn., who sponsored the Yemen resolution with Sens. Mike Lee, R-Utah, and Bernie Sanders, I-Vermont. It would be the first time either the House or Senate “has ever used the war powers to pull the United States out of hostilities overseas,” Murphy said. Senators may also vote on a separate resolution, still in the works, naming Saudi Arabia’s crown prince, Mohammed Bin Salman, as responsible for Khashoggi’s death. The Washington Post columnist was killed inside the Saudi consulate in Istanbul on Oct. 2 by a team of Saudi operatives. The crown prince has denied any involvement in Khashoggi’s death, but the CIA has concluded that he directed the killing. Key senators emerged from a briefing with CIA Director Gina Haspel last week saying they were convinced the crown prince, known by his initials MBS, is complicit in the journalist’s murder. Haspel briefed top House lawmakers on Wednesday. After the briefing, Rep. Eliot Engel, who will chair the House Foreign Affairs Committee come January, promised a wide-ranging assessment of U.S.-Saudi ties. “The Foreign Affairs Committee intends to hold hearings after the first of the year about all aspects of Saudi behavior, and we’ll let the chips fall where they may,” Engel told reporters. Sen. Bob Corker, R-Tenn., chairman of the Senate Foreign Relations Committee, is working on a resolution implicating MBS. On Wednesday, Corker said he would push for a vote on his proposal after the Yemen debate has concluded. Senate Majority Leader Mitch McConnell, R-Ky., argued strongly against the Yemen resolution on Wednesday. But the GOP leader argued that American support for the Saudi-led coalition does not amount to military engagement; the U.S. is not involved in direct combat and has stopped providing air-to-air refueling, he noted. “If the Senate wants to pick a constitutional fight with the Executive Branch over war powers, I would advise my colleagues to pick a better case,” McConnell argued. The war in Yemen has left thousands of civilians dead and created the world’s worst humanitarian disaster – with millions now on the verge of starvation. It is a proxy battle between Saudi Arabia and Iran, two regimes vying for expanded influence in the region. The U.S. has stopped refueling Saudi jets, but it is still providing munitions and intelligence to the Saudi government. Sanders said the war in “destroying” Yemen, noting that an estimated 85,000 children have already died of starvation because of the conflict. “What I hope today is that we send a loud and powerful message … that we’re going to get out of Yemen (and) that we’re going to use our resources to bring peace to that country,” he said. The Senate defeated the Sanders-Lee-Murphy resolution earlier this year, but the Khashoggi killing has dramatically changed the political climate. Republicans and Democrats alike are eager to rebuke the kingdom, arguing that if the U.S. fails to do that, the crown prince and other autocratic rulers will see that as a green light to commit other extrajudicial killings to silence their critics. Trump has condemned Khashoggi’s death but said the incident should not harm U.S.-Saudi Arabia relations. The administration is relying heavily on Saudi Arabia in its effort to isolate Iran, and Trump has championed U.S. arms sales to the regime as an economic boon. Murphy said he hopes Trump’s refusal to punish Saudi Arabia will spark a broader effort by Congress to reassert itself on foreign policy.